Sheriff Roger Scott is excited to announce the offering of the 25th Sheriff’s Citizens Police Academy beginning January 10th, 2019. The Sheriff’s Office and The DeKalb County Farm Bureau have sponsored the academy since 1996. In the beginning the academy was offered twice a year but eventually modified to become an annual event. The academy is scheduled to begin Thursday January 10, 2019 and will conclude with graduation celebration at the DeKalb County Farm Bureau on March 21st, 2019. Classes are from 6:30 p.m. – 9:30 p.m. for 10 consecutive Thursday evenings and will be held primarily at the Legislative Center in Sycamore and the Community Outreach Building in DeKalb. The academy is not meant to prepare individuals for a law enforcement career, but is educational opportunity for DeKalb County Citizens, and has been developed to give citizens a realistic view of the Criminal Justice System in DeKalb County. Citizens from all walks of life have enjoyed and graduated from the academy. Instructors for the academy include deputies from the Sheriff’s Office, and others from other segments within the Criminal Justice System. Academy topics cover several areas including arrest procedures, criminal law, investigations, domestic violence, traffic stops, telecommunications, corrections, judicial perspective, active shooter response for citizens, and other topics. Many of the classes include optional hands-on involvement by members of the Academy. Coordinators for the Academy are Deputy Sarah Frazier and Detective John Holiday. Those interested in attending Citizens Police Academy may contact the Sheriff’s Office can fill out the application below, by calling, 895-7260, or by stopping at the Sheriff’s Office at 150 N. Main St. Sycamore. 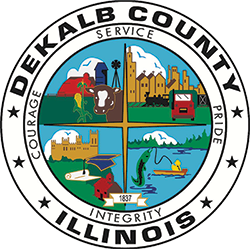 Applicants must be at least 21 years and live or work within DeKalb County. Basic background checks are conducted on all applicants. There is no registration fee, however class size is limited and the deadline for registration is December 16th, 2018, early registration is encouraged.